It is amazing how much about your life hangs in the balance during these two weeks. For example, I need a new pair of black shorts for the summer. Do I go out and buy a new pair or do I wait two weeks and maybe get to buy a maternity pair? Since this will hopefully be my second full term pregnancy I know full well that a) I will balloon out immediately and b) maternity pants are 100,000 times more comfortable. It is tempting… but no. I will wait. All joking aside, it does feel like life has hit pause. Because in two weeks my life will either be exactly as it is today or it will be heading in a new direction. In the mean time, I am going to fill my two weeks with working, writing, playing with baby J, a date night with B, happy hour with friends and maybe some shopping for new black shorts. 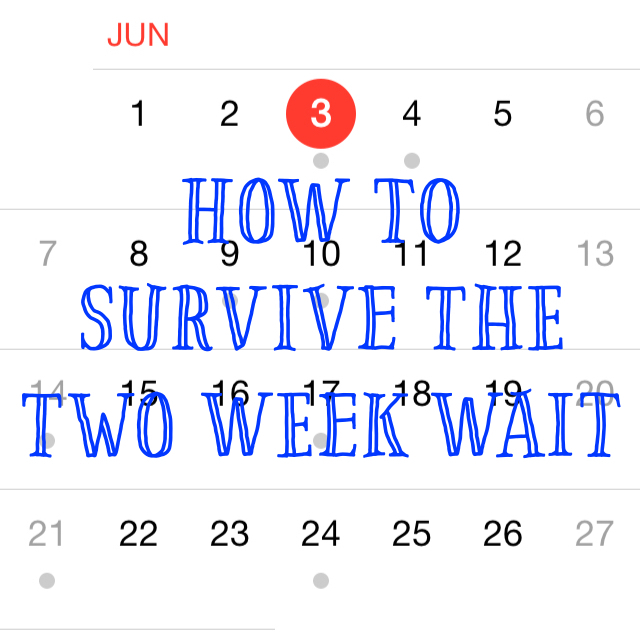 How do you survive the two week wait?